It's December! It came so quickly and I am very excited to celebrate the season with Mr E and Miss C. They are at such a fun age to experience the wonder of Christmas cheer, enjoy traditions, and also learn about the joy of giving! Although it is abnormally 70 degrees today, I prepped to have cabin fever by now. I planned to really get into crafts and reading and games with the kids. Per Pinterest, I found a great idea to pair holiday stories with a daily craft. I have been inventing my own activities...short and sweet, but also to follow the theme of the book we read each day. So here is what we have done so far! Our activity was to create a snowman with stickers. A sticker for the head, eyes, nose, and hat. 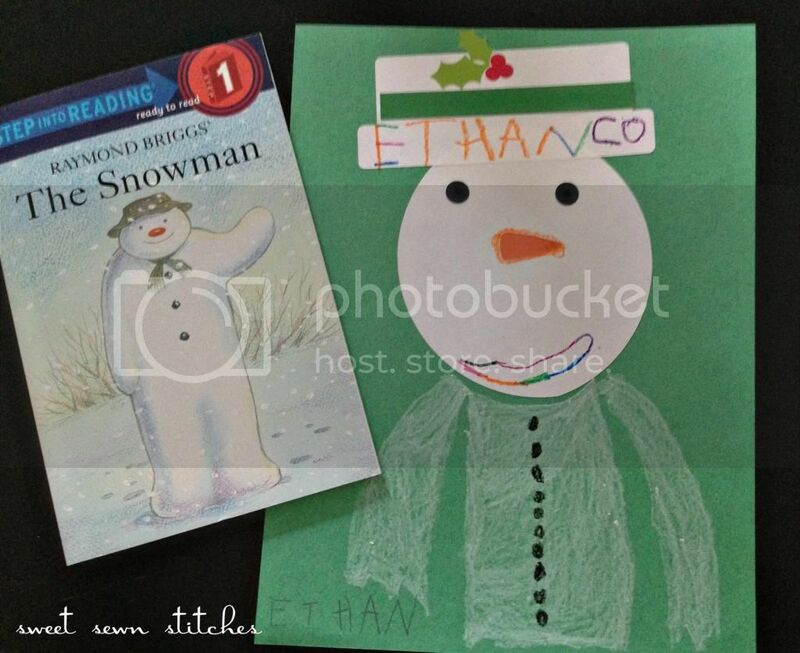 Mr E creatively drew the rest of the snowman. Miss C drew swirly snowflakes and scribbles. 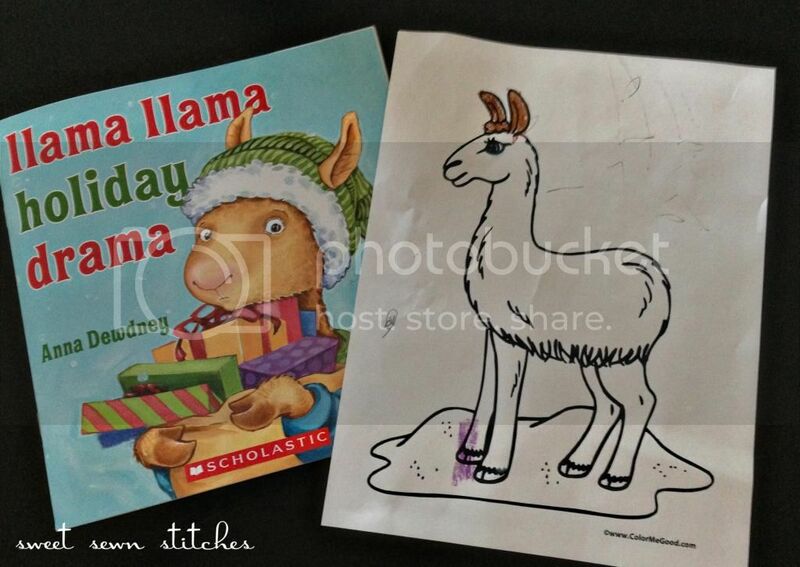 Last minute Sunday planning resulted in a simple llama coloring page. Still fun! This book has a special place in my heart. 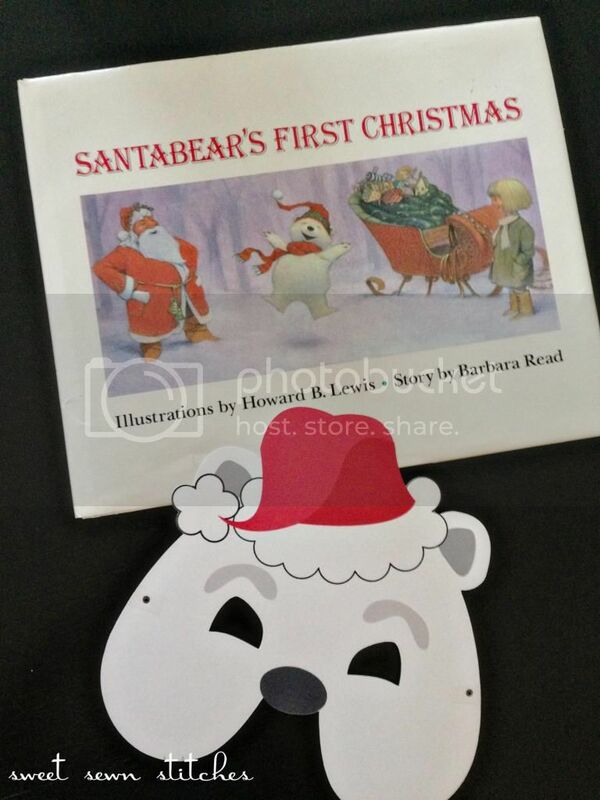 This is one of the most memorable Christmas books we read when I was young. It wasn't until today when I read it aloud to the kids, that I remembered the story. The touching words and gorgeous illustrations! Being a mom now, it even brought tears to my eyes as I read the heartfelt story. An amazing book with a great moral lesson. I made special Santabear masks for the kids to decorate and wear. They had a great time running around the house pretending to be Santabear in the forest! So far I have greatly enjoyed combining books and crafts. Such a simple concept with good books! I am hoping to share more stories as we celebrate through December. Hope you all are enjoying the season!